Domestic violence is a pretty clear situation. There’s the victim and the assailant. Generally, it’s pretty obvious when someone is being emotionally or physically abused by their partner. However, what happens when the situation isn’t so clear cut? What happens when one night things get a little too rowdy due to drinking and you’re accused of domestic violence to your significant other? What happens when you’re falsely accused of domestic violence either because your partner says you hit him or her or because there is speculation by friends or family? At Lopez & Wilmert, LLP, we know that people can be falsely accused of a crime they didn’t commit. By legally helping you figure out how to fight the false accusations, the family lawyers at Lopez & Wilmert, LLP represents both sides of a domestic violence case. 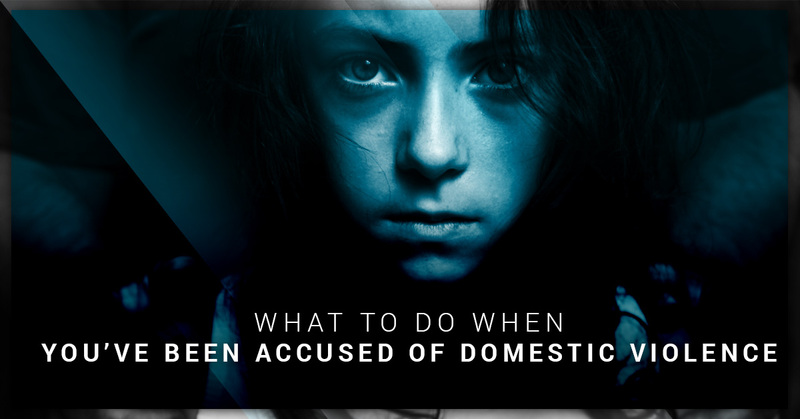 When you’ve been falsely accused of domestic violence, there are a few ways you can fight the accusations. First of all, realize that even though you’ve been falsely accused it doesn’t mean that it’s the end of the world. By following these three methods to deal with domestic violence accusations, you can continue to live your life without becoming too buried in the situation you’re facing. If you’re struggling with the accusations, then perhaps it’s best if you speak to a domestic violence lawyer as quickly as possible so you can receive legal advice. The first way to deal with false accusations of domestic violence is by changing your login information on every single one of your social media sites, your bank account, your cell phone, and any other device that needs a password. The reason you should change all of your login information is so that the person who accused you of domestic violence doesn’t incriminate you. There have been some examples of people who accused another of domestic violence of sending threatening messages to others because they had access to social media, the cell phone, and computers. If the accusations are getting to you, then take a deep breath and try to keep a leveled head about the situation. It can be hard to hear that people think you are capable of harming another person. It can take a toll on your own mental health to know that people think you are capable of your accusations. By keeping a level head and taking care of yourself, you’re able to eliminate the stress, hurt, confusion, and anger you may feel. Continue your day-to-day activities without feeling overwhelmed by the situation by keeping a level head. Lastly and most importantly, when you’ve been falsely accused of domestic violence you need to talk to a domestic violence lawyer. When you talk to a domestic violence lawyer from Lopez & Wilmert, LLP, you’ll know the legal big picture to help you determine the best method to go about fighting the charges. A domestic violence lawyer will give you the advice you need to make the best decision for yourself. Additionally, when you come to Lopez & Wilmert, LLP, you’ll talk to a family lawyer who will treat your case with delicacy. Schedule a free consultation today.